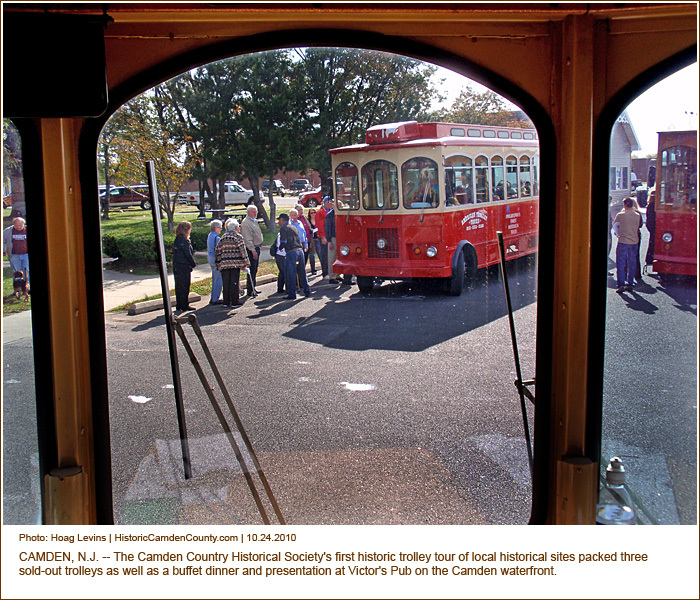 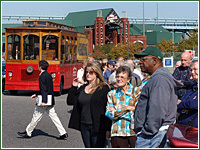 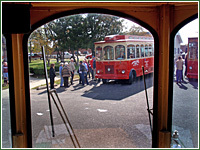 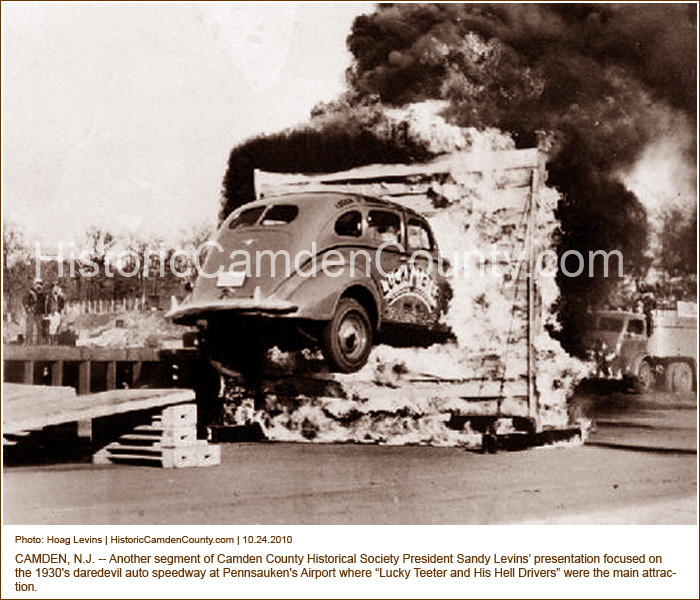 CAMDEN, N.J. -- The Camden Country Historical Society's first trolley tour of local historical sites packed three sold-out trolleys as well as a buffet dinner and presentation at Victor's Pub on the Camden waterfront. 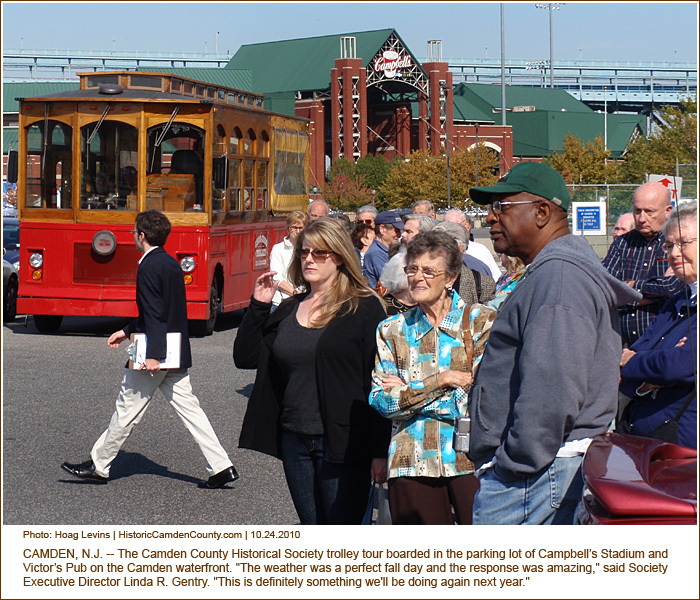 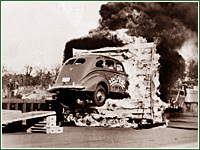 "The weather was a perfect fall day and the response was amazing," said Society Executive Director Linda R. Gentry. 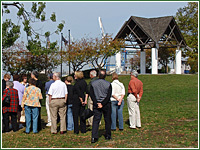 "This is definitely something we'll be doing again next year." 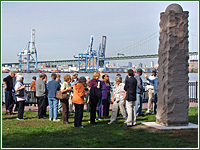 The first stop was Proprietors' Park along the Delaware River waterfront of Gloucester. 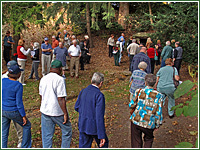 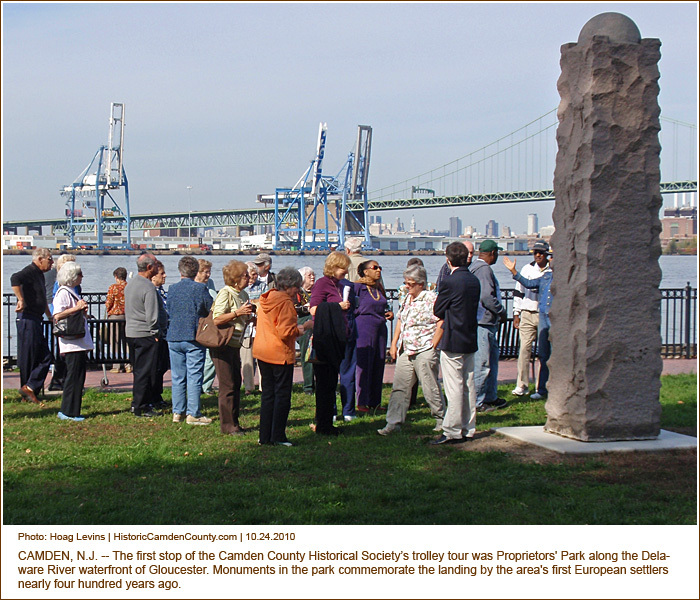 Monuments in the park commemorate the landing by the area's first European settlers nearly four hundred years ago as well as the site of Hugg's tavern. 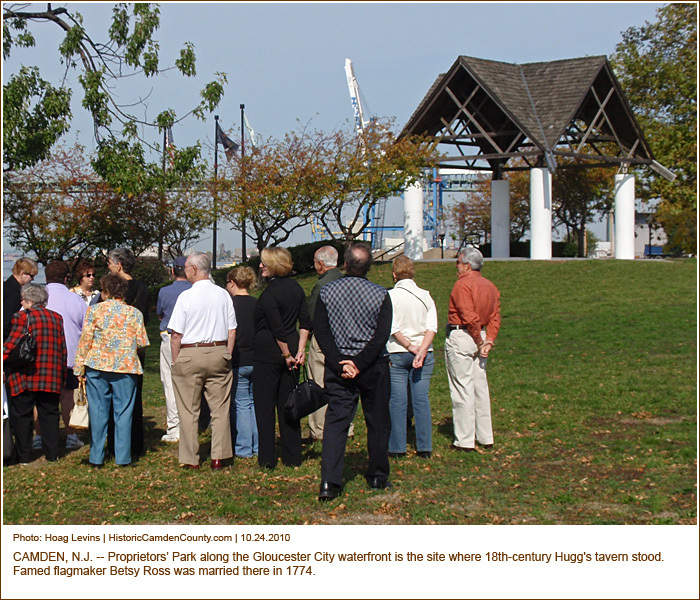 Famed flagmaker Betsy Ross was married in that colonial establishment in 1774. 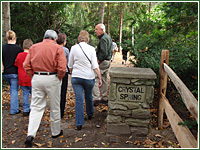 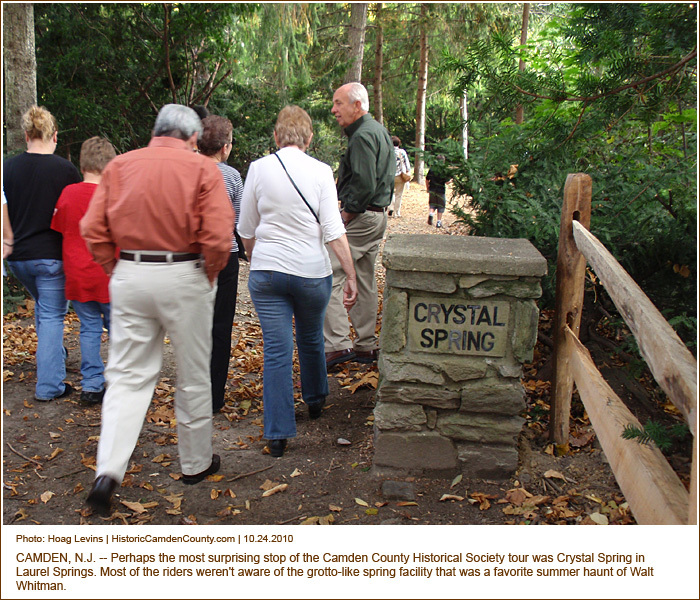 Perhaps the most surprising stop on the tour was Crystal Spring in Laurel Springs. 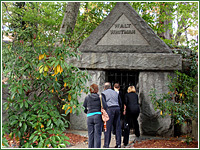 Most of the riders weren't aware of the grotto-like spring facility that was a favorite summer haunt of Walt Whitman. 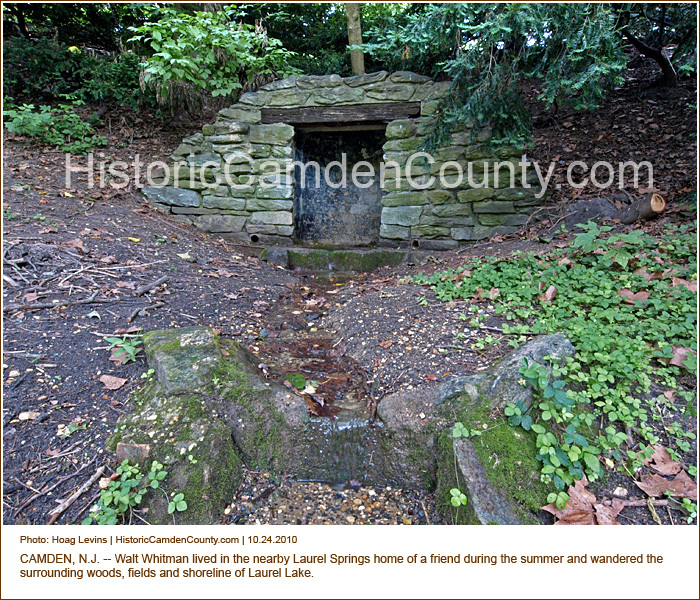 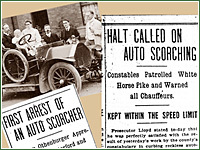 He lived in the nearby home of a friend and wandered the surrounding woods, fields and shoreline of Laurel Lake. 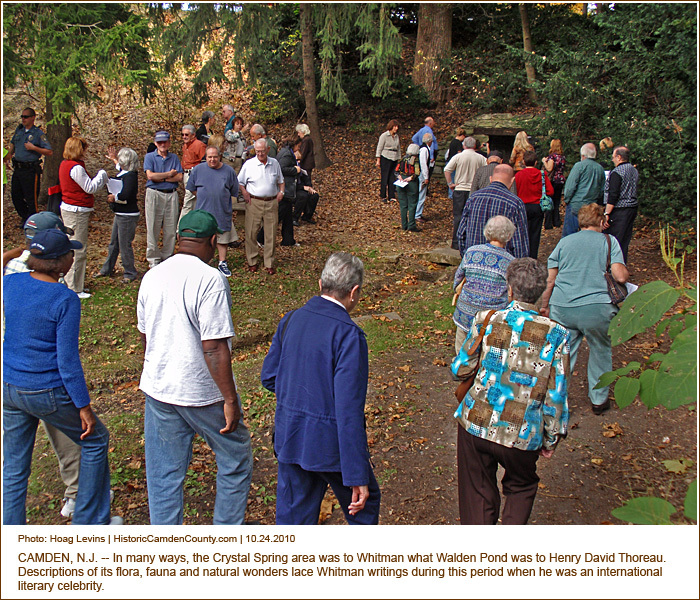 In many ways, the Crystal Spring area was to Whitman what Walden Pond was to Henry David Thoreau. 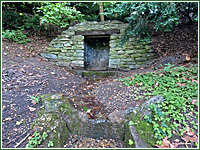 Descriptions of its flora, fauna and natural wonders lace his writings of the period when he was an international literary celebrity. 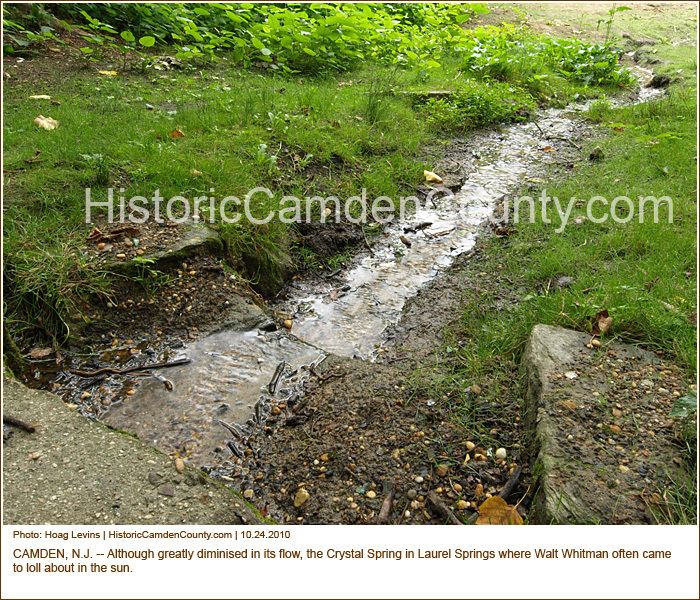 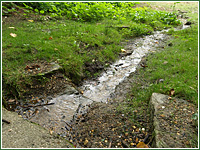 Although greatly diminised in flow, the spring stream that Whitman loved is still there. 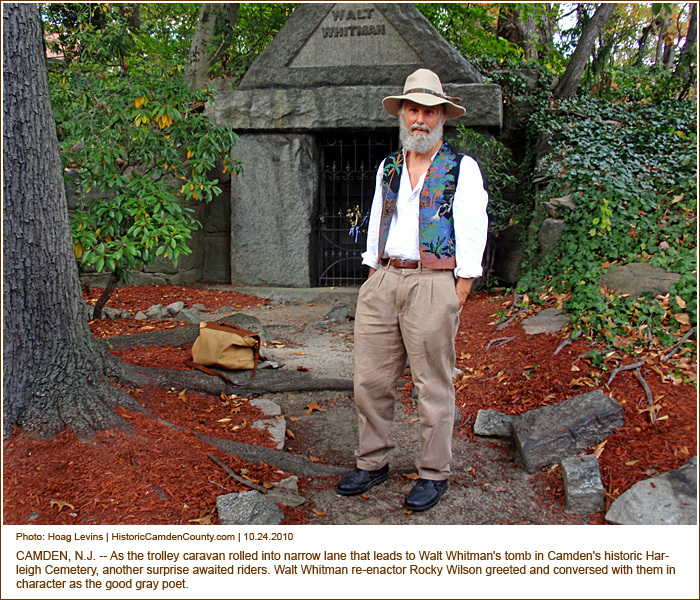 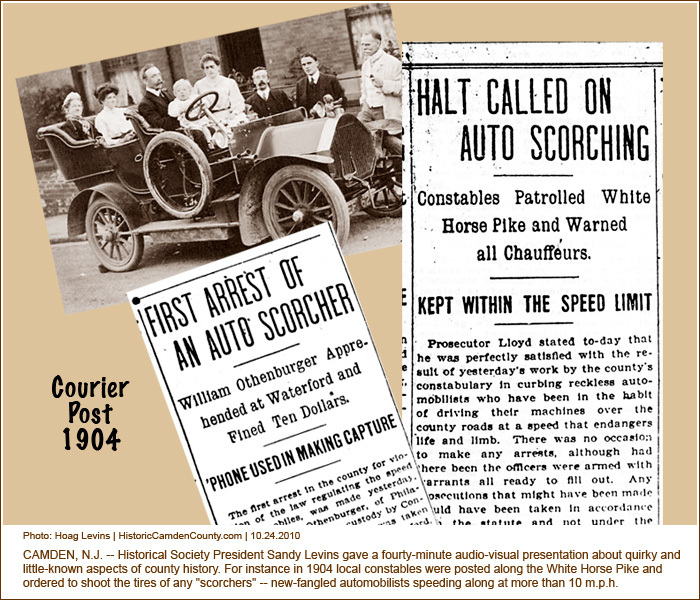 As the trolley caravan rolled into narrow lane that leads to Walt Whitman's tomb in Camden's historic Harleigh Cemetery, another surprise awaited the riders. 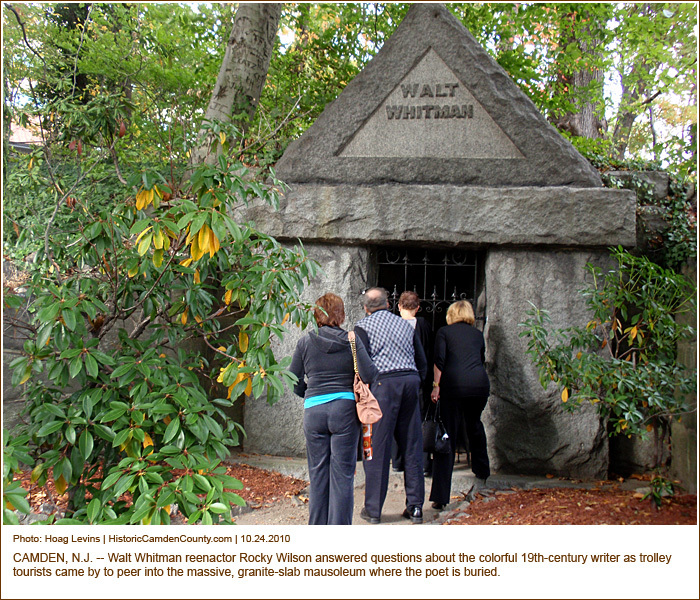 Walt Whitman re-enactor Rocky Wilson greeted and conversed with them in character as the good gray poet. 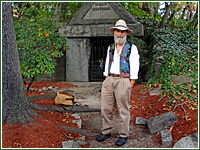 He answered questions about the colorful 19th-century writer as they came by to peer into the massive, granite-slab mausoleum.